Private Home tuitions for Guitars, Keyboards, Vocals!! Kiran Roy’s Guitar Studio brings to you ‘Private Home Lessons’ at the comforts of your home. One-To-One private Lessons focus entirely on you and your aims. The private lessons are a great way of addressing your individual needs with valuable one-on-one time with our tutors. Private lessons are currently offered for guitars, keyboards and vocals. As all of our teachers are highly trained, our teaching principle is simple yet world class. Each person interprets music in an individual way. There is no right or wrong in this interpretation, but there are golden rules which apply to all styles of music. Our job is to instill these rules in our students, to allow them to pursue a musical direction which is personal to them and have fun in the process! 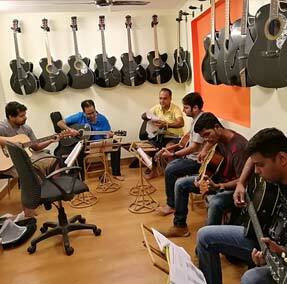 Kiran Roy’s Guitar Studio imparts professional guitar training to people of all ages and abilities. We have an approach to teaching that has been described by our students as ‘relaxed but structured’, ‘hugely enjoyable, informative and supportive’, ‘pleasurable and productive’, ‘very easy to follow’ and ‘enjoyable and inspiring’. Sessions would be once a week for 90 minutes duration. 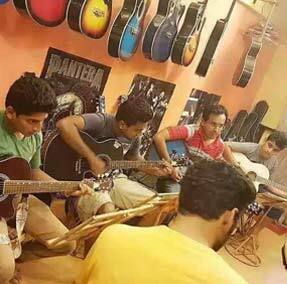 The Guitar Studio Private Guitar Lessons that we provide in Mumbai can be given at your home address, based on our available timing slots, so there’s no need to transport any extra equipment. 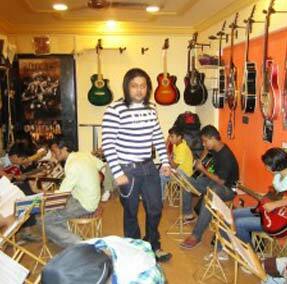 We at Kiran Roy’s Guitar Studio want you to realize your dream and ensure that you master the Guitars. Our teachers have the patience, skill and motivation to make you realize that dream. We apply the same methodology and philosophy to all our courses – Whether training at our centers across Mumbai or training privately. Clear, concise and powerful guitar,keyboards and drums training to fast-track you to where you want to be. Delivered by our experienced teaching team, the Private Lessons offer a great range of skills and techniques for all levels, from the complete beginner to the advanced. Intense and goal oriented guitar training and music education. Instant teacher’s feedback and problem solving. 100% of teacher’s attention on you and your challenges. 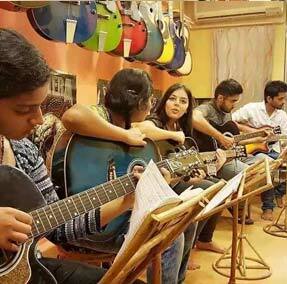 Direct Access to Kiran Roy’s Guitar Studio where in the student can also get trained by Kiran Roy. Best strategy to get you the maximum result in the shortest time. Training for Trinity College London Grade Exams.